The super-lightweight Atomos Shinobi SDI is the go everywhere professional 5” HD-SDI and 4K HDMI camera-top monitor for any production. It’s highly color accurate calibrated display makes it the ultimate compact HDR and SDR reference monitor. The monitor is suited to the professional video creator that uses or owns a variety of cameras and camcorders and needs the flexibility of SDI or HDMI, accurate high bright and HDR, while not requiring external recording capability. 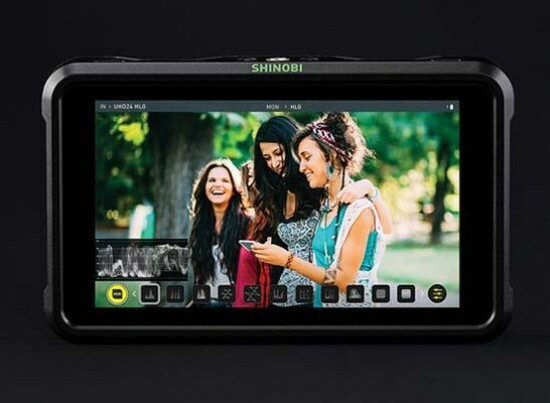 The Atomos Shinobi SDI is available now for $US499 / €499. HD-SDI input and output, plus a 4K HDMI input. This makes Shinobi SDI the perfect companion for high-end cinema and production cameras, ENG cameras, handheld camcorders and any other HD-SDI equipped source. parade, vectorscope and audio-level meters, combined with focus peaking, 4:1 / 2:1 / 1:1 zoom, customizable zebras, false color, frame guides and broadcast safe markers.